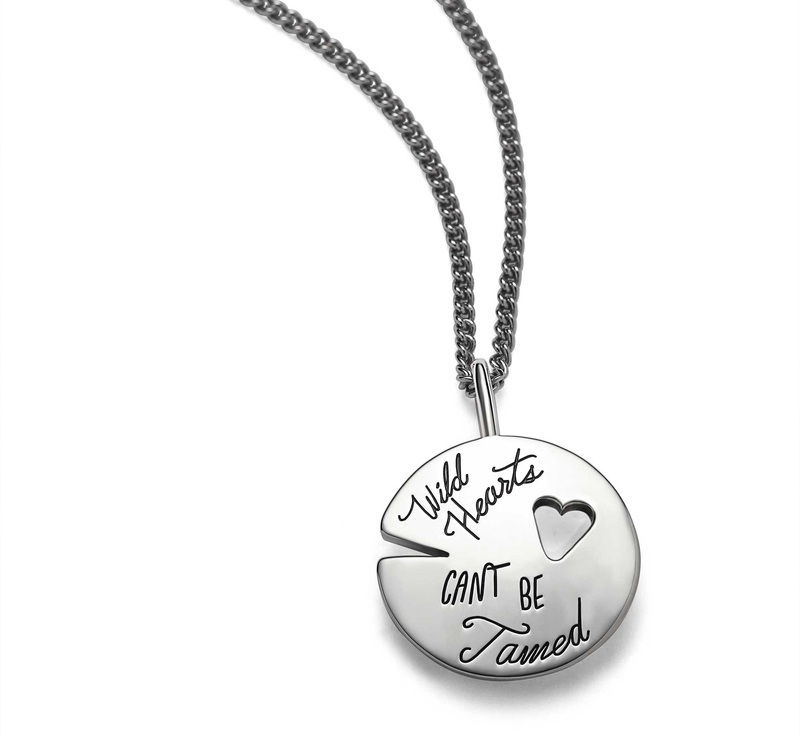 Wild hearts can't be tamed. 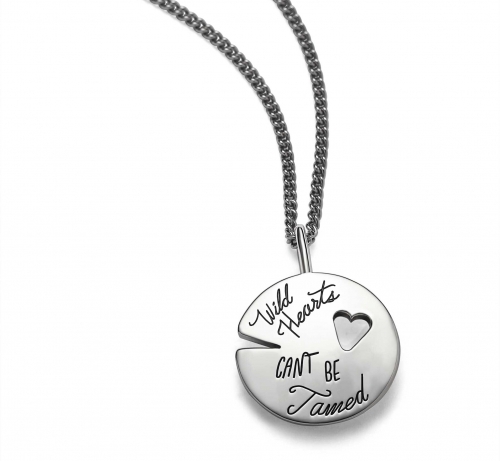 This unusual pendant reflects a free spirit who doesn’t care much what anyone else thinks or where anyone else is going. Sorry, not sorry. You don’t follow any traditional route, but rather run off in pursuit of your own adventures. The irregular nature of the engraved script reflects your uninhibited personality. A heart cutout adds a punch that shows how you wear your heart on your sleeve. You are unapologetically you, just as you should be. This hand-polished necklace reflects your shine.